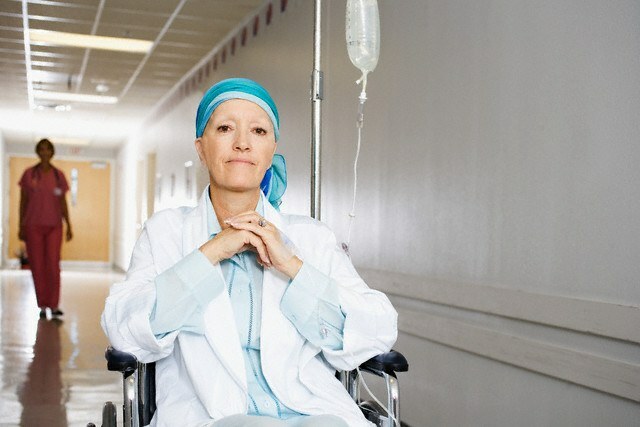 Chemotherapy is one of effective methods of cancer treatment along with surgical methods. Chemotherapy is the use of drugs which are capable of destroying tumor formation or slow the growth of abnormal cells. Currently, chemotherapy can be carried out only with one drug or several. Chemotherapy can be carried out in the Oncology clinic. Depending on the condition of the patient and the doctor himself determines where and how to do such a procedure. In some cases, treatment can be done at home. It is very important that the first session of the admission of anticancer drugs should be under the supervision of a physician. Before the chemotherapy you need to remember that some simple medicines can reduce the effect of antitumor chemotherapy, so the patient will need to provide a complete list of all of the medications used. The treatment can be carried out in different ways. Active against tumor drugs introduced into the body in several ways: intravenously, into the artery, orally, subcutaneously or intramuscularly, locally. In some cases, resorted to the introduction of chemotherapy into the cerebrospinal fluid, the bladder. The intravenous method is the most common. For it will need a thin needle. When the drug quickly enters the bloodstream and spreads to organs, once in the tumor itself. The drug can be entered via the Central vein. At the same time in the subclavian vein put a special catheter. Not cleaned it for the entire period of therapy. The method involves orally taking the tablets or capsules inside. The local introduction of the drug is used in the form of ointments or gels that are rubbed into the tumor location in the case, if it is close to the surface of the skin. The duration of treatment determined by the attending physician. Most often it is from 1 to 5 days. Further, the course is repeated. It is important that between them it is necessary to take a short break with a duration of 2-3 weeks. During this time the body of the sick person will recover. Almost always, chemotherapy drugs cause side effects. They may manifest as reduced appetite, weakness, nausea, vomiting, fatigue, muscle pain, fever, hair loss, deterioration of blood, the function of internal organs (kidney, liver). Everyone goes through chemotherapy individually. The effectiveness of treatment is assessed by reduction in tumor size. In that case, if the indicators without modification, the scheme of treatment me on the other.